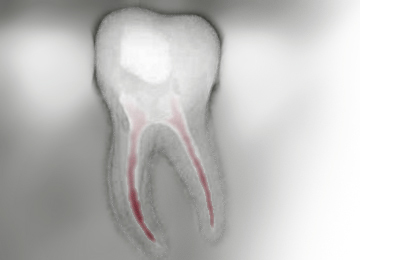 An endodontial treatment is the treatment of the root of a tooth in order to preserve the functionality of this tooth. The nerve affected by caries, bacteria or infections is cured. Successful tooth root treatments are most exigent and require a highly skilled dentist.Goal of the tooth root treatment is to get rid of bacteria and nerval tissue in the canal, cleansing and desinfection of the space in order to later fill it in with accurate material. During and after the treatment the intervention and recovery process are checked upon through x-ray images to document a successful healing period.